When we first got a look at director Justin Lin’s upcoming sequel Fast & Furious 6 by way of a brief Super Bowl spot, it was clear that the follow-up was going to be quite massive in scale. The film’s full trailer confirmed this fact, as fans were teased with everything from a ginormous ensemble cast to a car literally exploding out the tip of an airplane. Lin’s Fast Five was an immensely entertaining actioner on a large scale, and it appears that he’s upped the ante even more for the Europe-set sequel. When Fast & Furious 6 was first announced as being in development, there were rumors that Lin would be shooting both Fast 6 and Fast 7 back-to-back, but he ultimately decided to only focus on the immediate sequel. That said, it’s clear that the an overall story arc is planned to play out over the next few films, and a solid rumor has now popped up that claims that a major action star will make a brief appearance at the end if 6 before playing the supervillain in Fast 7. Hit the jump to read on, but beware there are MASSIVE SPOILERS for Fast & Furious 6 below. I cannot stress this enough, do not click on if you don’t want to know how Fast 6 ends. Again, if you don’t want to know how Fast & Furious 6 ends (though this casting information will probably be made public soon enough), then don’t read ahead. Still with me? Alright then. 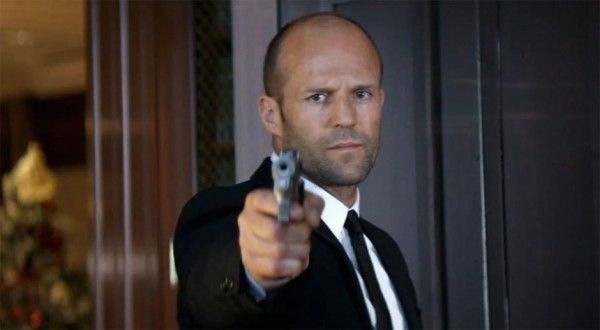 Back in October of 2011, when development on Fast & Furious 6 was ongoing and the producers were planning an overall storyline that would connect 6 and 7, it was rumored that Jason Statham might be joining the series. As we all know Luke Evans eventually took on the villain role in Fast & Furious 6, but AICN has some incredibly solid info that Statham simply opted to take on the villain role in Fast & Furious 7 instead, as he’ll appear briefly at the end of Fast & Furious 6 to tease his major role in 7. Statham will be playing the brother of Evans’ character, and you can probably surmise that things don’t end up all fine and dandy for Evans at the end of Fast & Furious 6, so Statham will have plenty of motivation to go after Dom’s crew. But that’s not all, folks. Apparently the reveal at the end of Fast 6 is fairly lengthy, as we’re taken all the way back to as previous film in the franchise where it’s revealed that Statham’s character has a connection to that film and to one of the series’ characters. AICN goes even further into spoiler territory by detailing how this all ends, but I won’t get into that here because it’s seems unnecessary to break down the film’s ending scene-by-scene before anyone has had a chance to see it. If you’re so inclined you can head over to the source site to read more, but beware that it is very detailed and ruins what will be a couple of surprising moments. So, there we have it. Jason Statham is the Big Bad in Fast & Furious 7 which, based on the high anticipation level of Fast & Furious 6, should be a no-brainer to greenlight. Fast & Furious 6 opens on May 24th.